If it weren't for a mentality of 'jumping in with both feet', I might never come up with some of these crazy designs! Seriously! When an idea comes to mind it usually starts with one small element and grows until it all comes together. Such is the case with this latest quilt. I wish I could explain how it started. I would imagine from a block idea which blossomed into another idea, and so on! But I can't be sure!! It can sometimes paint me into a corner, or it can snowball and in the end it can actually look like I planned the entire thing from the beginning. Which I did not!! 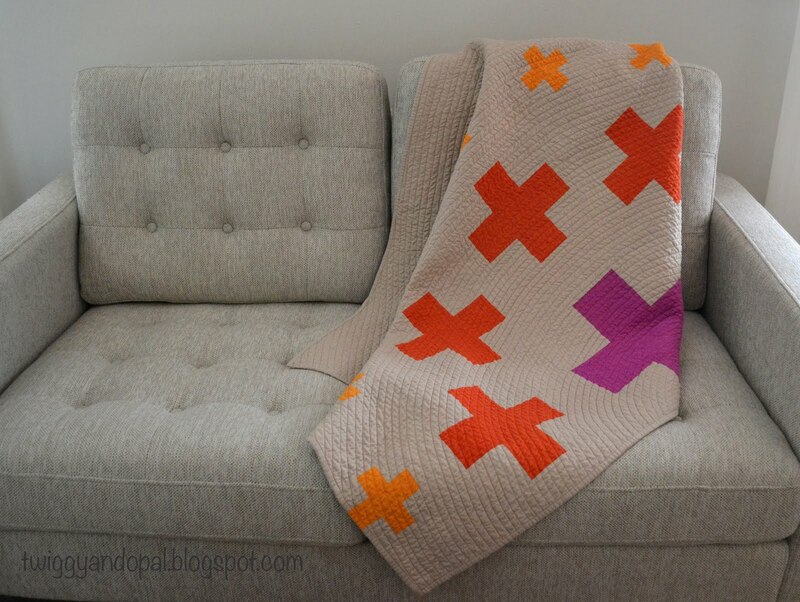 I decided to name this quilt 'Cipher'. The definition of cipher is: a secret or disguised way of writing; a code. Maybe it's the plus signs that reminds me of math. Very smart and complicated math! It also feels like there is a secret message hidden along the way and all you have to do is figure it out! Imagine if I was smart enough to do that!! All I know is I had to #makeithappen just as my little notebook states! 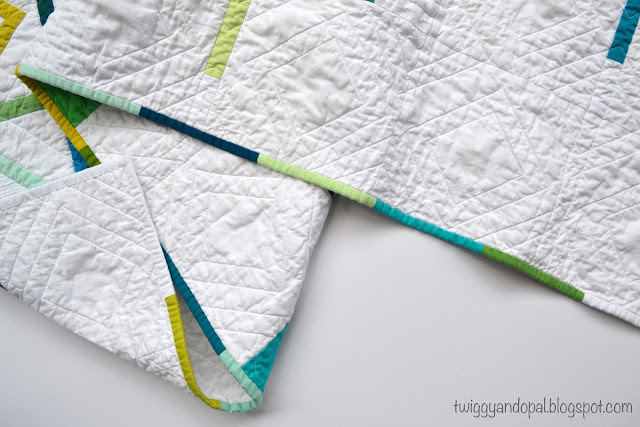 Pulling out scraps led to the colors I used in this quilt. 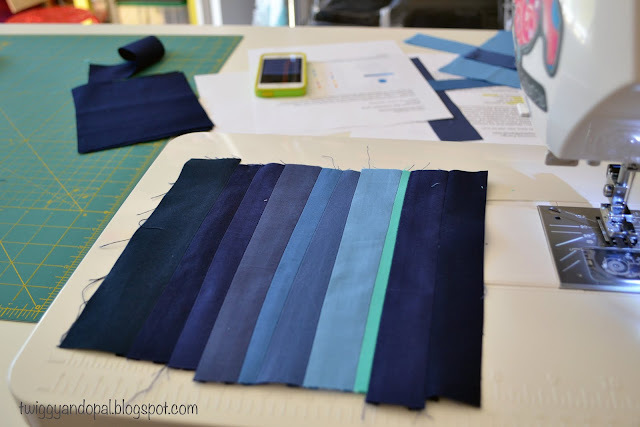 I seemed to have tons of blue, aqua, teal and greens scraps so it was the obvious choice. Those combined with yardage I had on hand, I was able to get a good mixture of color. This is where I actually planned something! 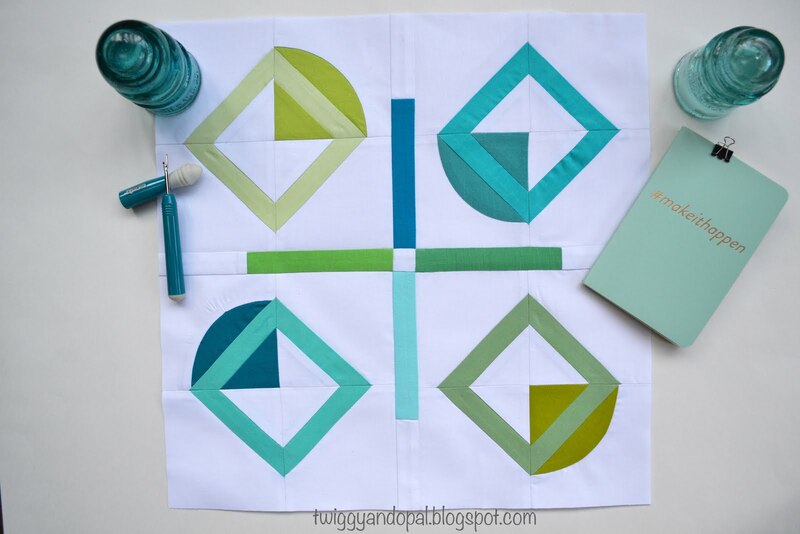 There are two blue/aqua and two green squares in each block. At some point during the piecing you do have to have a plan. It would make it nearly impossible to put together otherwise. With the top finished there is always that moment of how to quilt it. Which always baffles me. All that open space is intimidating! 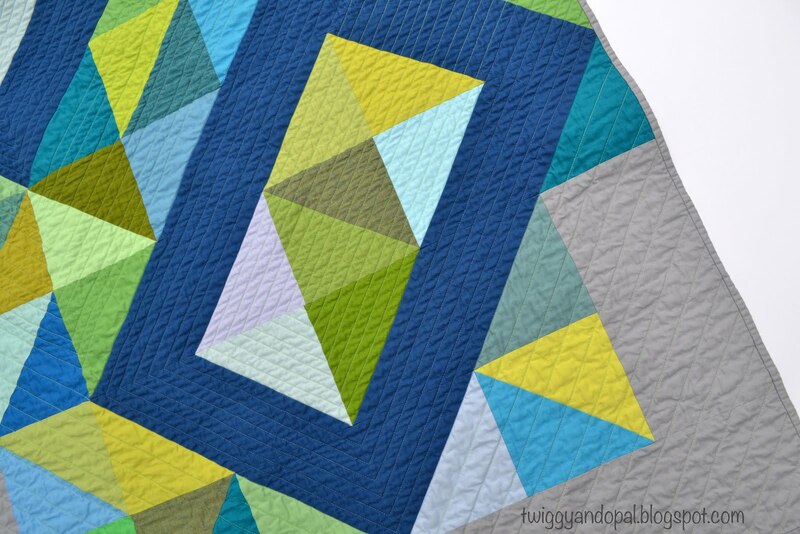 Basically I mimicked the blocks throughout most of the quilt. At first I was kicking myself for thinking and doing it. 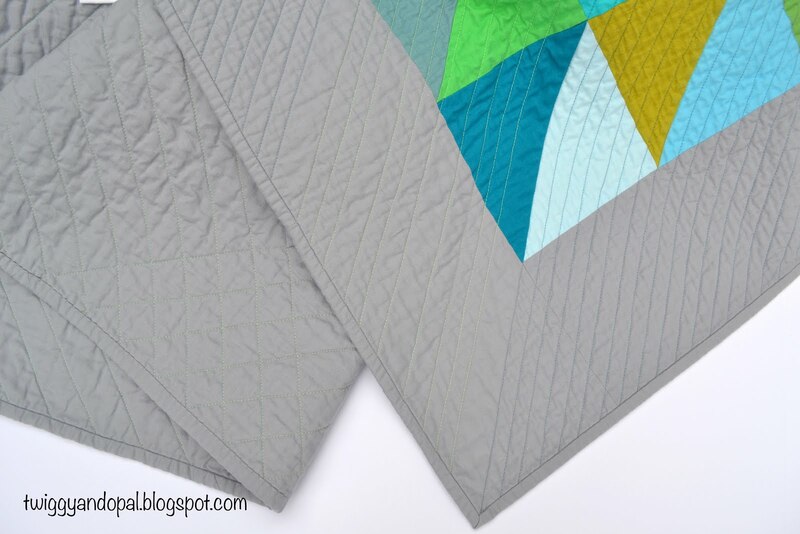 The quilt is a manageable size, but there was a lot of marking, turning and thread burying! It ended up being a wonderful effect! But there was still more to do! And speaking of thread, I decided to use a 28wt Aurifil thread. (white #2024) I've used it before on a couple things, but I've always used a 50wt thread in the bobbin. This time I decided to give the 28wt a try in the bobbin and much to my delight...it worked perfect! I was a bit worried it would be too thick. I changed the tension a tad bit, but other than that it was smooth sailing! The heavier weight thread stands out more than a standard 50 or 40 weight thread does, which is a nice change! The inside of the blocks was begging for texture. I busted out my free motion limited skills and added some squiggly lines. The final area inside the blank rectangle needed something different. 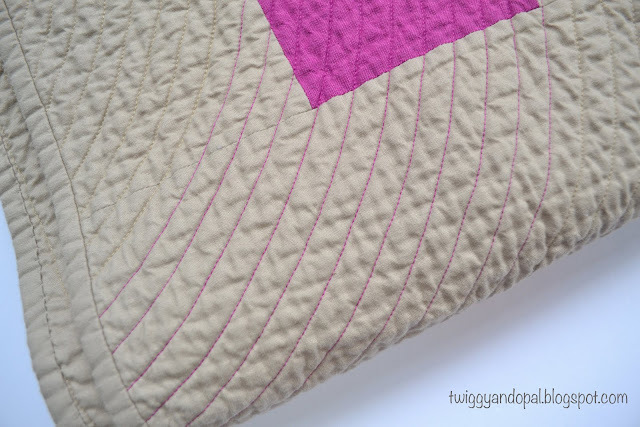 Not too dense, not to open and certainly not like any of the other quilting I had done thus far. 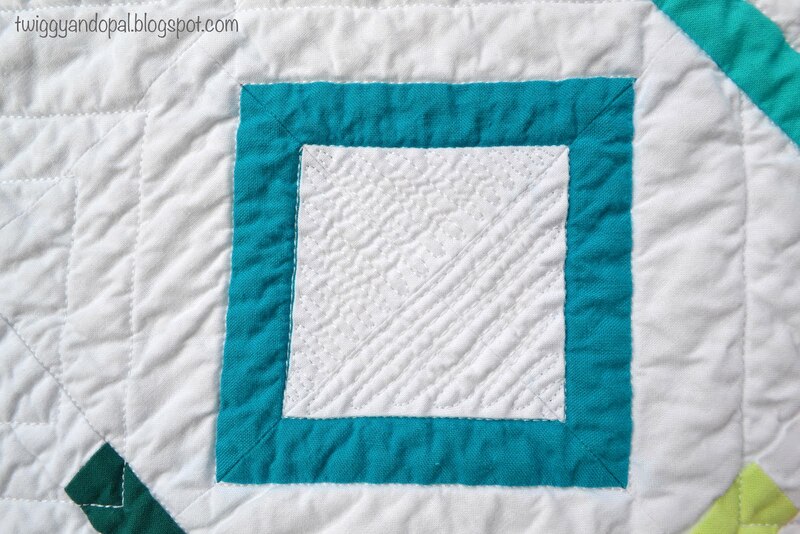 I added a grid of 3/4" squares for the finale! It brings a different element to the table and filled the space. Besides white, I didn't have a chunk of fabric big enough for the back. Not to worry! One large piece with an added scrappy strip down the side works wonders! I can use my stash and scraps for a big win! For more added scrap power, I pieced strips for one side section of the binding. The length of the strips are the same size as the lines in the pluses. Hand sewn to the back and this baby was ready for some crinkle! 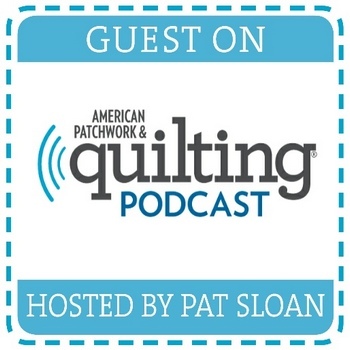 The background fabric is Kona White, the teal circle fabric on the back is 'Spot On' by Robert Kaufman and the thread is White (#2024) 28wt Aurifil thread. 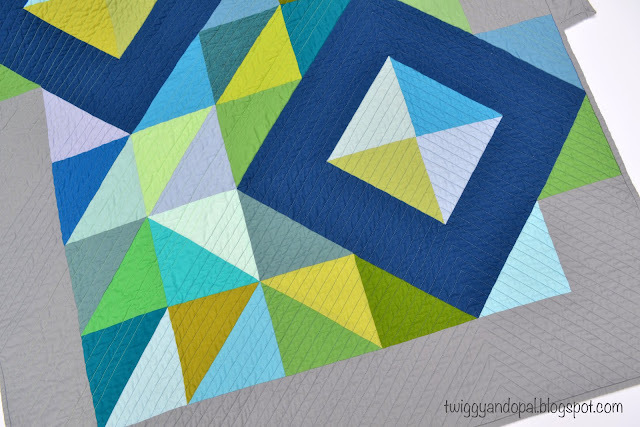 Fun fact: When I was free motion quilting inside the squares everything was going just as planned. I wasn't fighting the quilt, I wasn't fighting the free motion action...I was feeling good! However, when it came time to call it done, I removed the quilt from the machine and soon found out I had sewn through a section that was folded! The seam ripper, the swear gods and I had a pretty good work out! I'll say 'live and learn' but I know full well it will happen again! It's been a couple months (where has the time gone?) since I started a new venture for the year! I have a feeling I will be pushing my limits in creativity for this one! I was contacted and asked if I'd be interesting in join an improv bee group inspired by the original Bee Sewcial group. If you are on instagram, check out these ladies!! I've followed the Bee Sewcial group for years and there is never a lack of inspiration and amazement with each of their prompts or creations. The simple explanation of the group is this: The queen bee chooses a theme or inspiration and a color palette using solids. Each member interprets the prompt and makes a block to send to the queen! And it's all about Improv! They are pretty darn amazing I must say! I hope they know the impact they have on so many of us. We're inspired by them and hope to push our skills, creativity and imagination. Very much inspired by Bee Sewcial, we will be using creative prompts to inspire the others in the group to create original modern improv blocks for the Queen. Introducing our group! Each of these ladies are amazing...I'm so excited!! This month I want you to play with this theme exploring the ways we see light and how it radiates through cracks, behind doors, around clouds, back lighting effects. Keeping in mind the underlying meaning of Cohen’s quote. The beauty in imperfection. Dark “stormy” blue that is then transformed into a spectrum of light blues, turquoise, silver grays, white. Corals, yellows, pinks and hints of purple are all welcome. I thought and thought and thought...put it off over and over again...and then finally an idea came to me! I'm like that sometimes! Eager, yet totally lost! 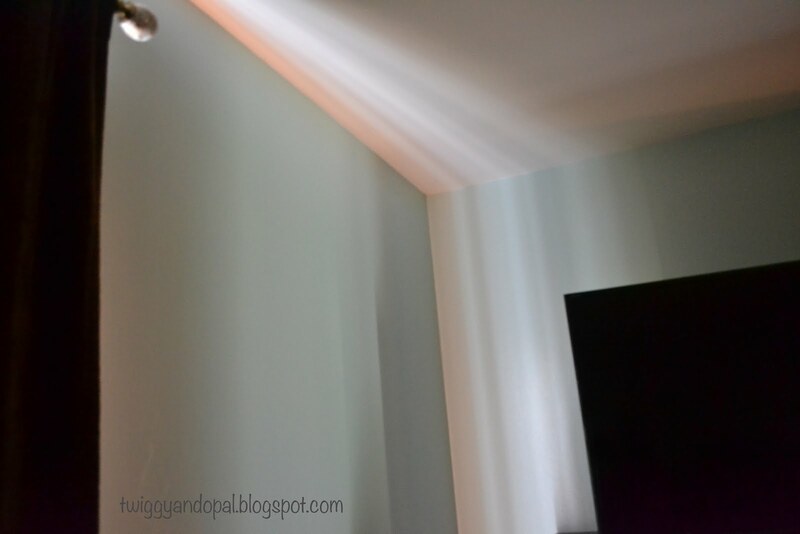 My first block was actually inspired by how the light gets in through my bedroom curtain. For years I've looked at the light filtering in as I was getting out of bed and always thought it would be so cool to put it to fabric. You can see I put that off too! I feel like Scarlet O'Hara - "I'll think about it tomorrow. Tomorrow is another day"! For the first block, I wanted to go mostly blue. So I started cutting (no rulers!) some strips in all shades of blue and a touch of aqua. It went well until I for the bottom section, but the top angled section was a bit more touchy! Eventually it did come together and I was satisfied. The block is about 12" square. For the second block I wanted to use different colors and add some improv curves. The vision that came to me was the sun setting between the mountains reflecting off the water. Of the two blocks, this was the one I was most worried about. I wasn't sure my vision came through and I was sure it was just too weird and out there! Instagram said differently! I was shocked and thrilled with the responses I received when I posted this block! Just goes to show you...one never knows! After looking at it the next day I found that it had grown on me and it wasn't as bad as I initially thought! Both blocks are headed to their queen! I cannot wait to see what Kathryn does with them! One prompt down...one more on the horizon! I haven't really quilted using prompts and I found it so difficult! Talk about pushing the limits! I'm sure I'll struggle on the next one and the next one, but I am fully committed to pushing through and conquering! Stay tuned! 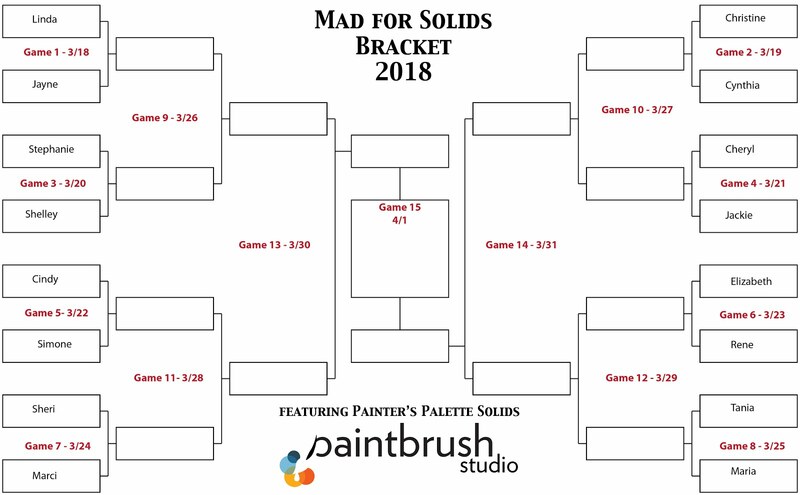 March Madness 2018 :: It's On! 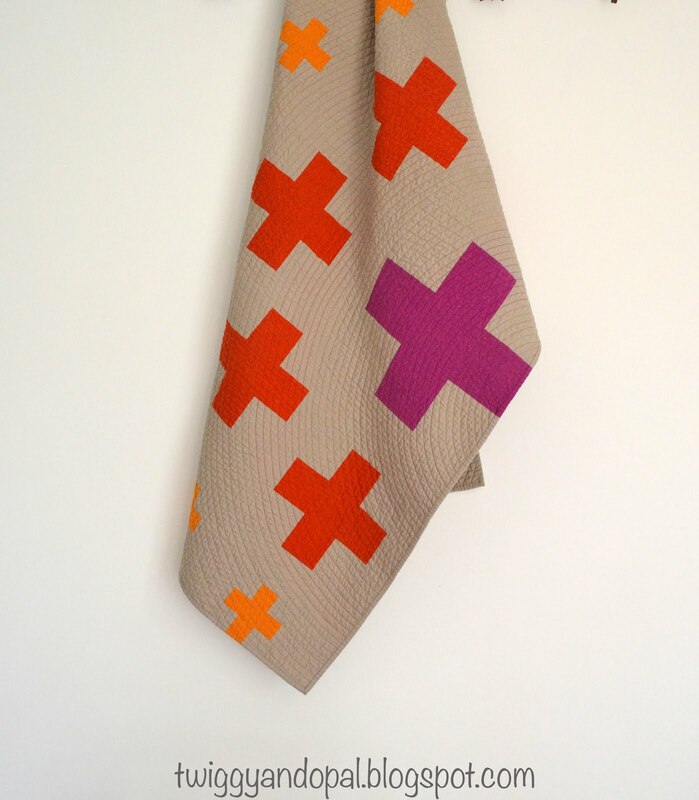 Here we are again, celebrating March Madness just the way we like it...through fabric! The competition is stiff every year! 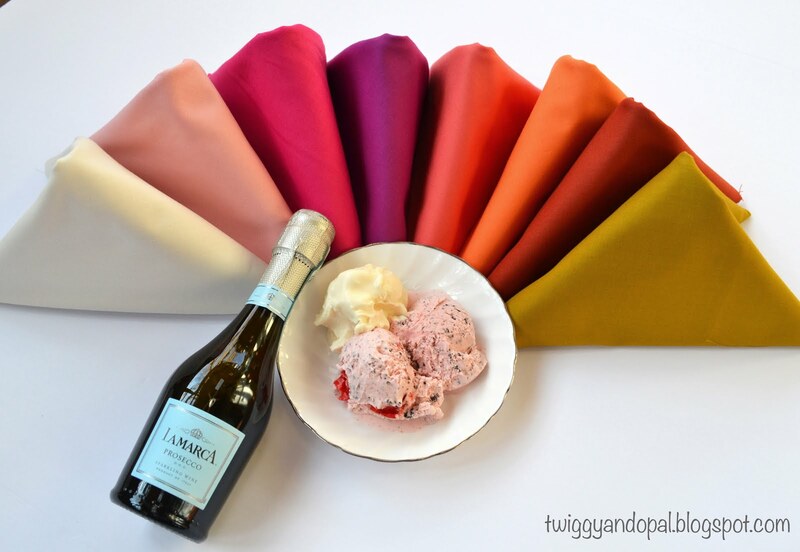 Sixteen beautiful curated bundles of Painter's Palette Solids to tickle and tease your senses! Here's the deal! There are daily head to head 'battles of the bundles' starting tonight at 6pm CST. You can see all sixteen bundles here: Inspired by Fabric. This is where you come in. You vote for your favorite bundle (hopefully mine 😊) on Instagram, Facebook or Inspired by Fabric blog every day. 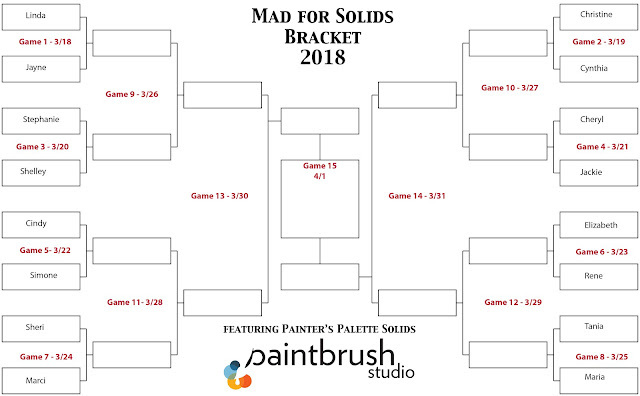 After each bracket a winner will be selected and they will then move on to the next round. Once the winning bundle is decided, there will be four (4) winners selected and they will win a Championship fat quarter bundle! This will be my third year competing in this fun game. You can check out my 2016 bundle 'Wild Dandelion' and my 2017 bundle 'Spring Lichen' if you would like. The first year I didn't make it out of the first round! The second year I made it to the Elite Eight much to my delight! My goal...Final Four! I say that laughingly...there are heavy hitters and gorgeous competition out there! My inspiration for this bundle was a recent trip my daughter and I took to Lauderdale-by-the-Sea, Florida. 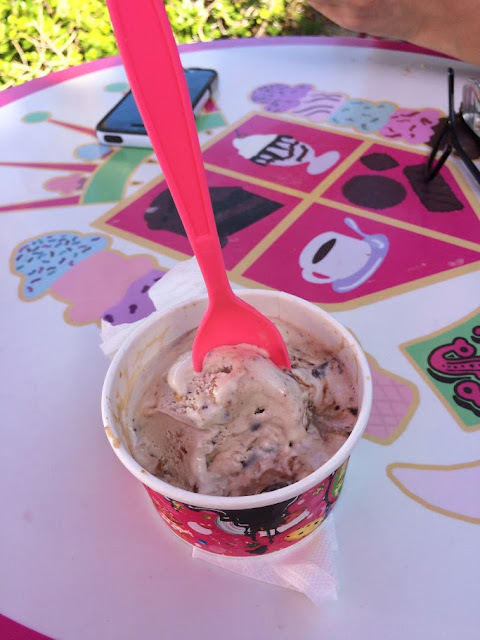 This is a celebration of mother and daughter memories--from the bubbly golden prosecco we popped on our first night, to the delicious ice cream we had every day. The colors engulf you with a relaxing warmth that only a tropical setting in winter could! Britt whisked me off on a mini vacation that was sorely needed! We had the best time, cleared our minds, and made some lasting memories. ...to the daily ice-cream treats! And of course, there were a million other memories in between! 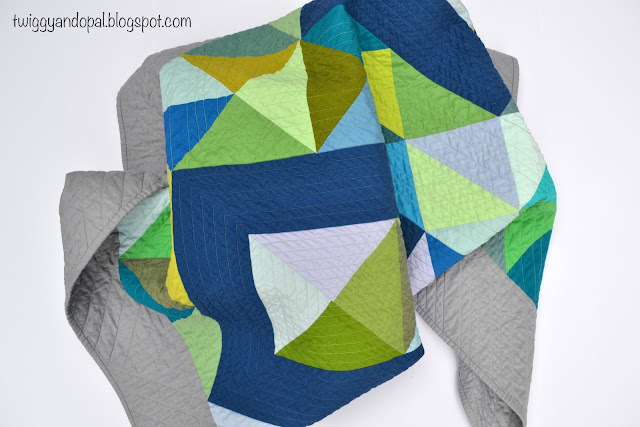 This bundle and the colors will always remind me of Lauderdale-by-the-Sea! And of Britt! In my wildest dreams I never could have imagined having a daughter as perfect as she has become! That's my story behind the bundle. Up close and personal! I hope to one day soon use these fabrics in a new design. 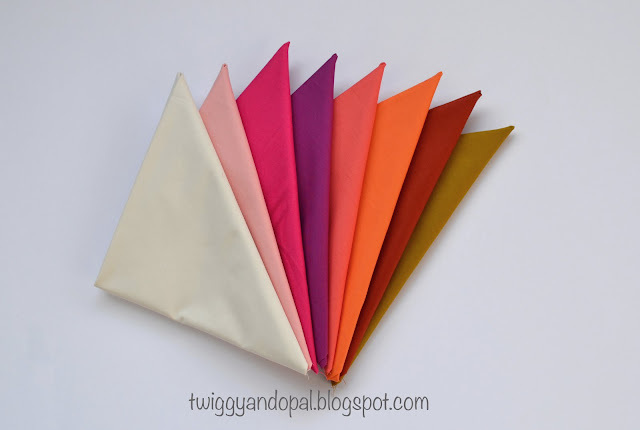 Speaking of fabric, if you have never used Painter's Palette Solids you should! They are pretty amazing! They have a great feel to them and the colors are spectacular! Yes, I would love to have your vote!! 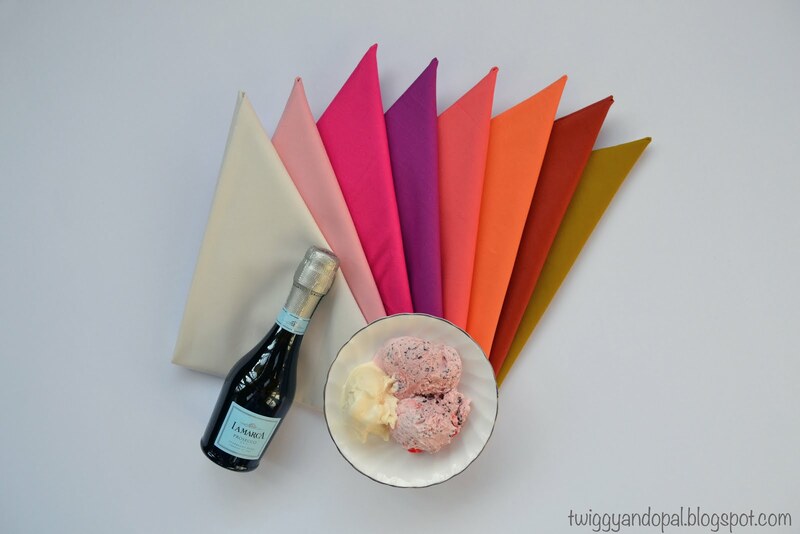 But I also know there are some very enticing color combinations in the mix! So go feast upon the bundles and pick what tickles your fancy! I am just happy I got to play along and throw my hat in the ring!! Oh boy are you in for a treat!! I was asked if I would participate in the Modern Plus Sign Quilts Book Hop. Cheryl @Meadow Mist Designs and Paige @Quilted Blooms have been working on this book for a long time and let me say...it was worth the wait! The book has 16 gorgeous quilts featured with beautiful pictures, easy to follow directions and loads of tips along the way. It's a must have book! Paige and Cheryl gave me free reign with the design I choose. I could change the size, color or layout, anything goes! It was a very enticing proposition and I couldn't wait to get started! Especially since I love to take a design and put my twist on it. The hardest part was picking which quilt I wanted to make, they are all so good! I ended up going with Plus Surround. I was drawn to the graphic design and the endless possibilities. My version is a bit different, yet it is still keeps the integrity of the original design. Still recognizable! I didn't want to completely change the original because it is so good, but when confronted with a challenge...I couldn't back away! Even though my version is a smaller, it still has the graphic impact I was drawn to in the original. I had a stack of colors to pick from and for some reason this trio of color grabbed my attention. Colors are fun to play around with. They can change a designs impact and give a totally different vibe to a quit. 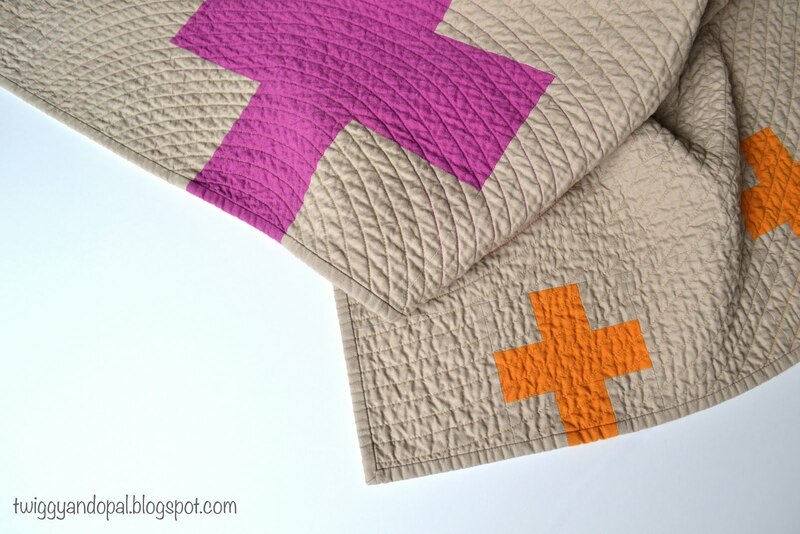 The plus signs are Studio E Peppered Cottons in Fuchsia, Paprika and Saffron. These colors are almost electric...which might be why I picked them in the first place?! And the background fabric is Moda Riley Grey, a good neutral to showcase the colors. I love how this turned out and knew from the beginning that concentric circles would play a part in the overall finish. Not exactly a circle, more the illusion of a circle. 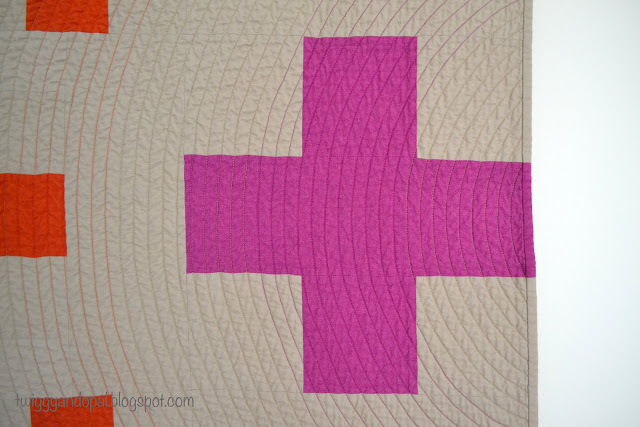 The majority of the lines are quilted using Aurifil 50wt in Sand (2326), but me being me...I added a few extra colors. Yellow Orange (2145), Dusty Orange (1154) and Magenta (2535). You can see the magenta and orange lines in these pictures. It's noticeable, but not overwhelming. I started the 1/2" lines at the center and I worked my way to the opposite side. I do love the effect with the design! The three different sized plus blocks are perfectly aligned and as each block was added, I got more and more excited to see the circle emerge. You know what I mean! 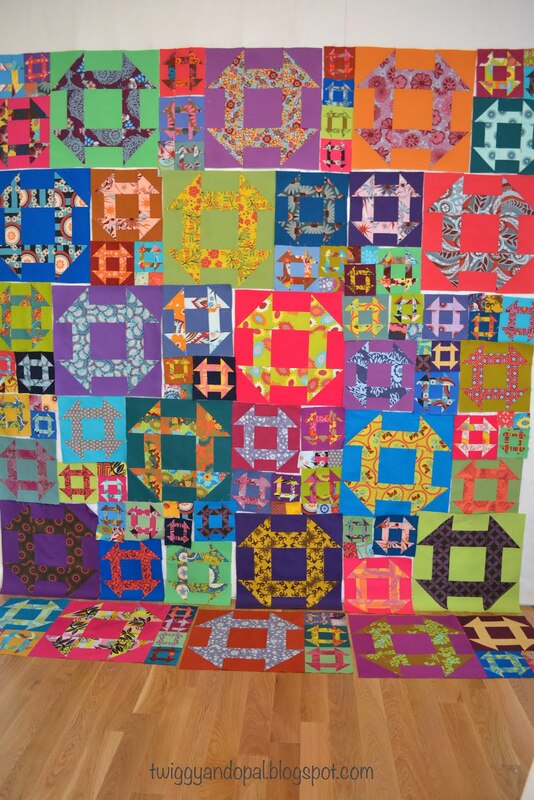 Watching a quilt come together is incredible and exhilarating all at the same time. The final touch was adding the border, and how could I not extend the plus signs to the very edge? It's creates a wonderful visual effect! 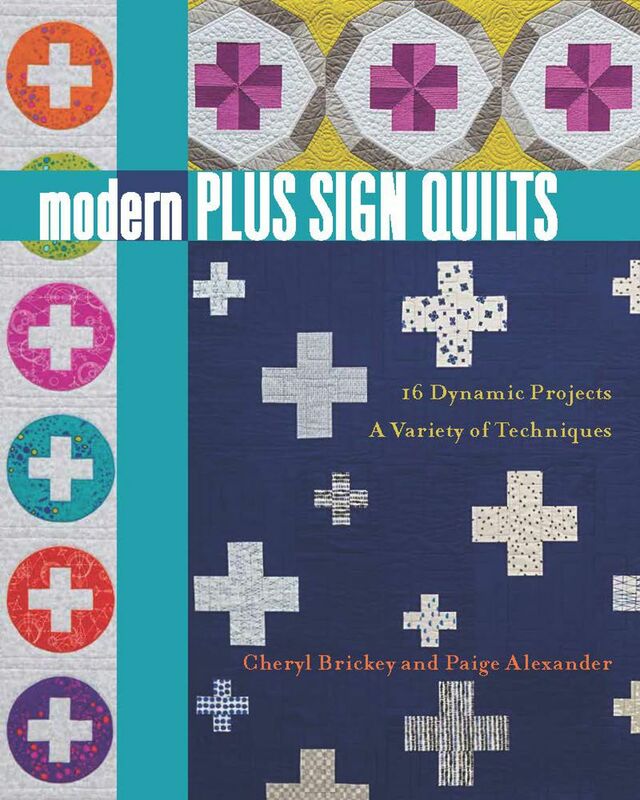 I'm already planning a second quilt from the Modern Plus Sign Quilts book! There are so many I would love to try. 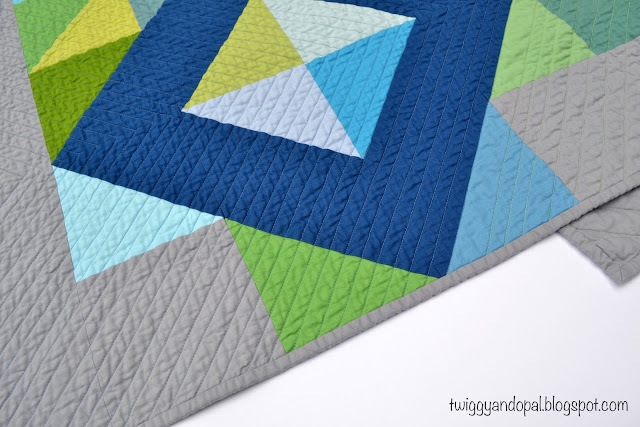 The quilts are rated from easy to hard so you can pick the project that suits your mood! Paige and Cheryl did an amazing job putting together this book! The quilts are spectacular! 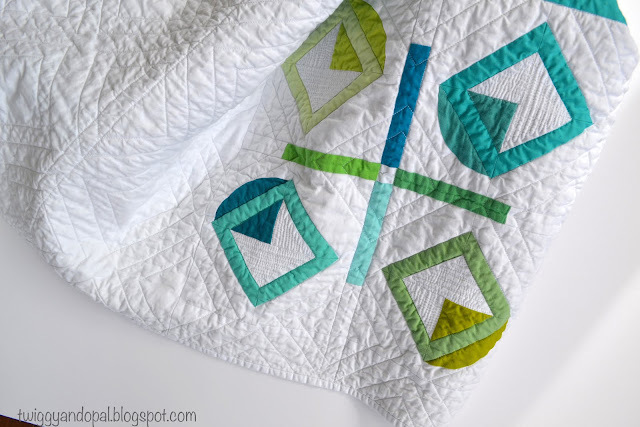 Over the next two weeks there will be over 40 bloggers sharing their versions of quilts from the book...and...there will also be daily giveaways! 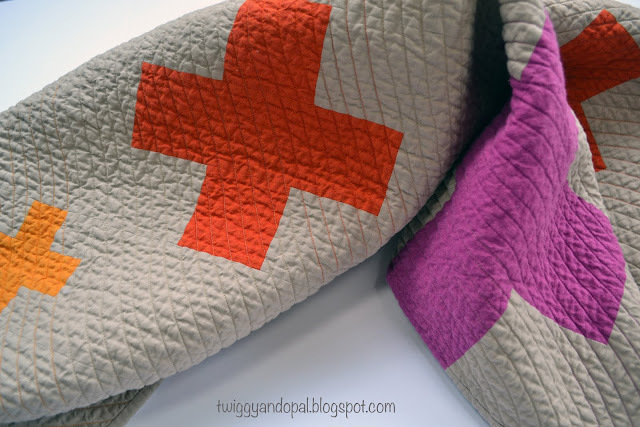 Visit either blog: Cheryl @Meadow Mist Designs or Paige @Quilted Blooms daily for the giveaway. This quilt was one of my very first 'real' quilts I ever made. 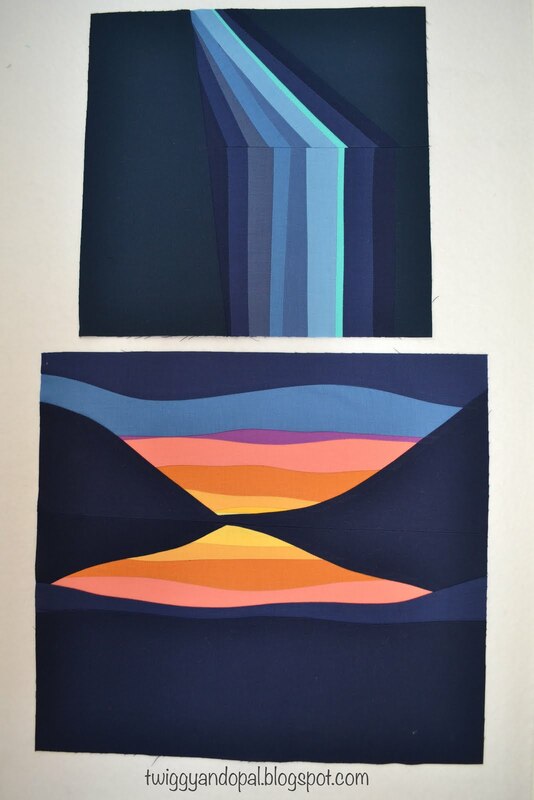 By real I mean, one that was preplanned, one that turned out beautiful, one that really pushed my newly discovered quilting passion. 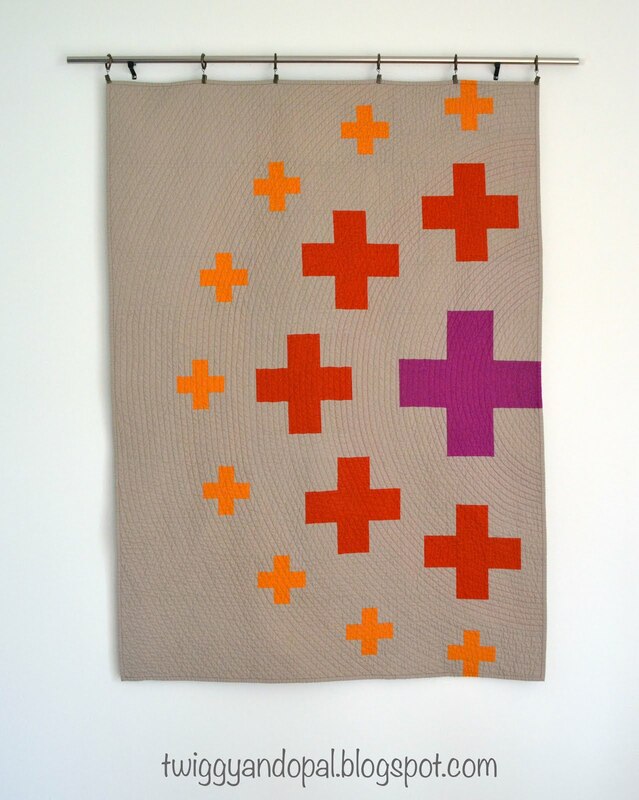 It's a quilt that to this day lives on my bed and is one I am still proud of. 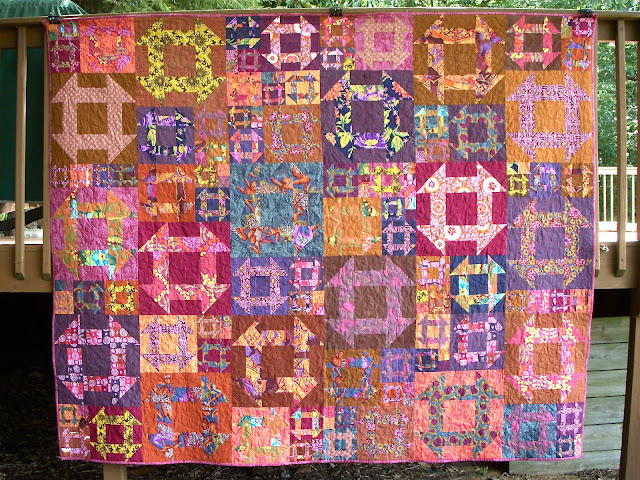 I made this quilt back in 2010 with my daughter. Britt was by my side to guide and encourage me, and was actually my 'sou chef' who cut (prepped) all the fabric and held my hand throughout the process. I have always wanted to make this quilt again but never quite got to there. That was until I was struggling with projects for our guild retreat. I thought it was good time to give it another go. At first I was going to reduce the size and make more of a lap quilt, but figured I may as well go for it. This time around I would use solids instead of tone on tone for the background. The more solids the better and it was the perfect project for my beloved Anna Marie Horner fabric stash. 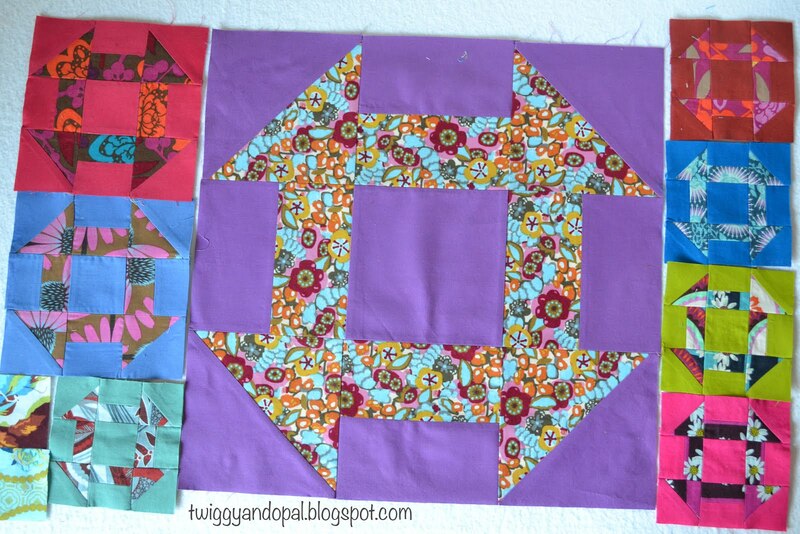 I spent so much time piecing the blocks at the retreat that I was sure I would never get them done. I had to finish up a good portion when I got home. Cutting 1/8" and 5/8" really is not my favorite thing to do and this pattern was full of them! I'm just glad I decided to cut everything before I left! 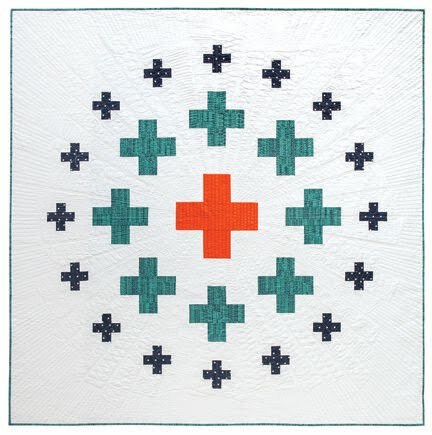 There were four sizes of blocks for this quilt: 16", 10", 6" and 4". 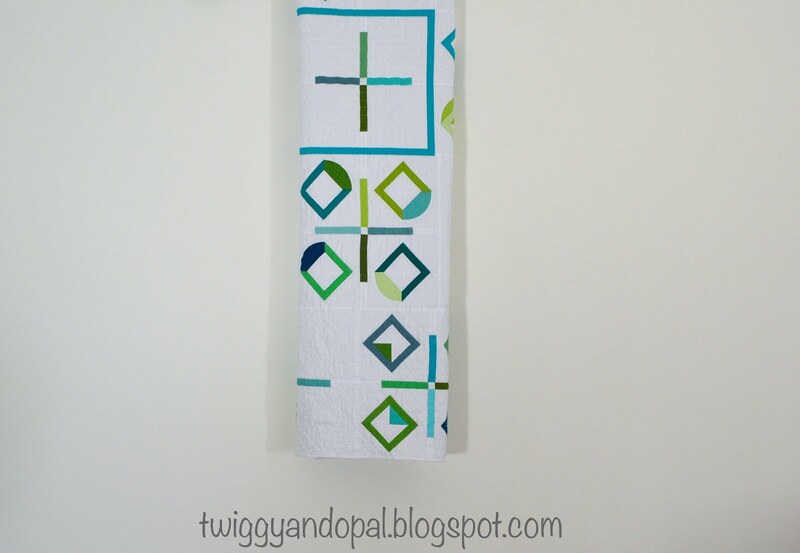 When I decided to make this quilt again, I was so tempted to cut the corner squares larger, sew the diagonal lines and then trim to the correct size. That's normally what I do with my HST's. However, I decided to trust that I could do this without having to trim. I'm so glad I did! I had to trust myself! I won't say that every one was perfect, and I won't say that this quit will be perfect. Points will be compromised! It took a while to layout the blocks in just the right places. 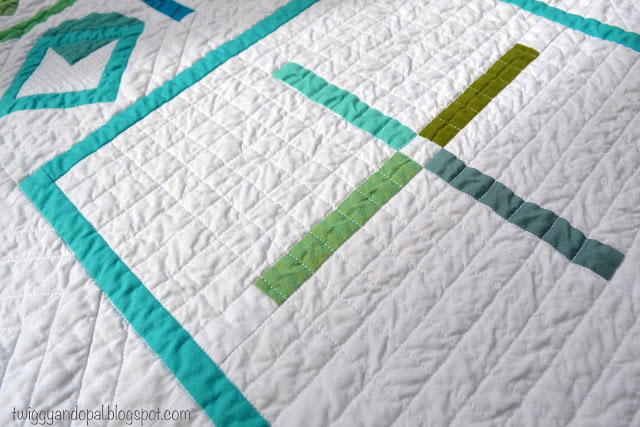 I used my side by side design walls and it still wasn't enough room for the length of this quilt! 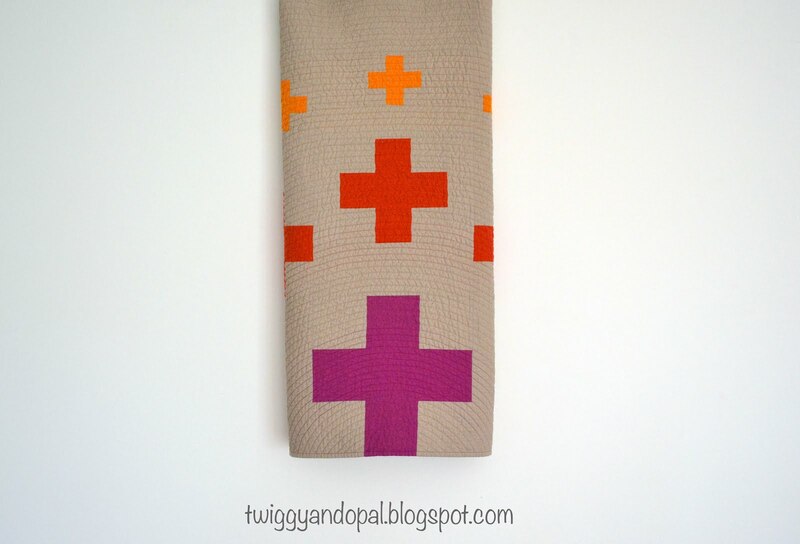 I found some amazing color combinations of prints and solids! Out of all the blocks, there is only one block that I wish I had replaced. Can you guess which one it is? Look to the left...bottom...purple...brown. For now it will hang on my design wall. It's big! 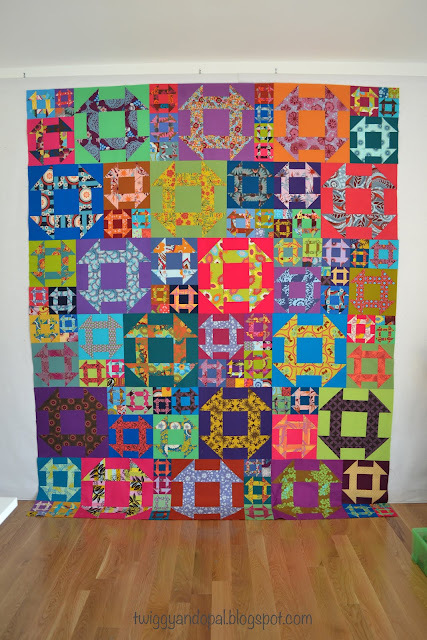 Like so big that I don't have the desire to quilt it big! I know why I got my first version long arm quilted! The more years that go by in my quilting life, the more and more I really don't like to quilt the tops! Smaller one, sure. Large ones, not so much! I'll get it done one of these days! I have been quilting other things besides cute little paper pieced critters! 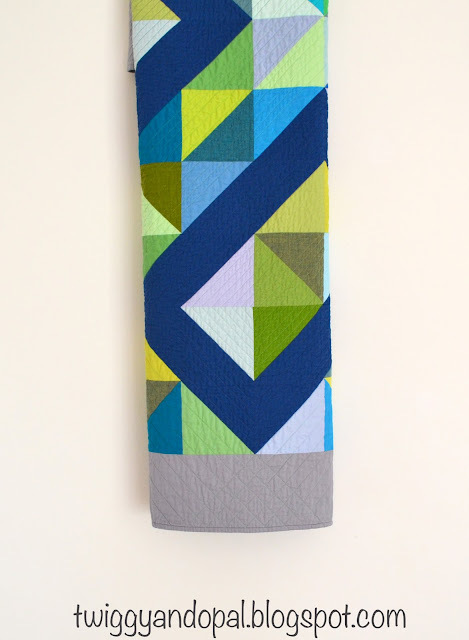 This quilt is the middle of one of my 'tunnel vision' adventures of using every piece of fabric until it's gone. It all started with half square triangles for one quilt, became this baby quilt with the trimmed and left over HST's from the first and ended with a mini quilt 'Serendipity'. 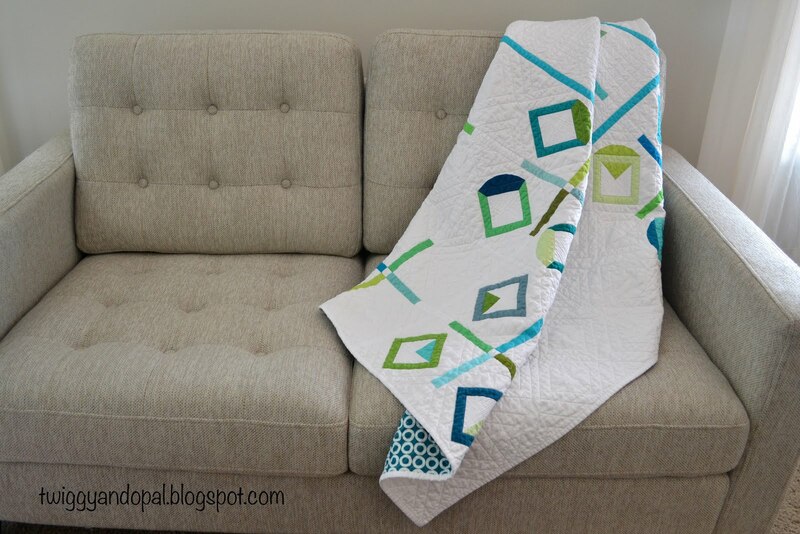 Normally I would have share the original quilt first, but I haven't quilted that one yet! So, bear with me as I take the unconventional and backwards way of sharing projects this time! 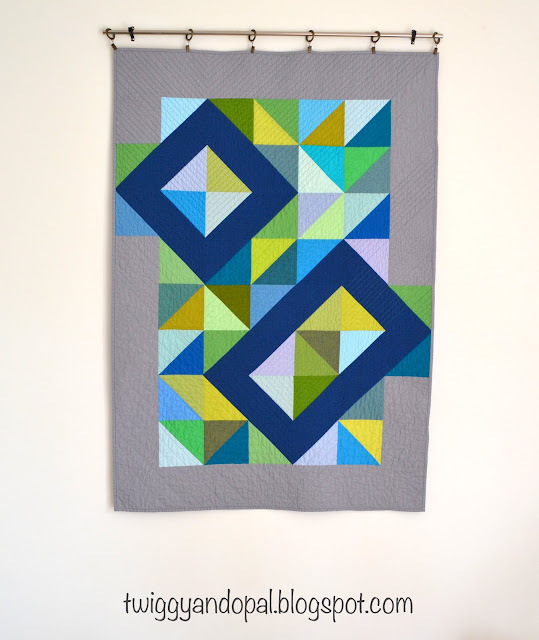 I had to design the quilt first so that I knew how and where I wanted the dark blue square and rectangle. 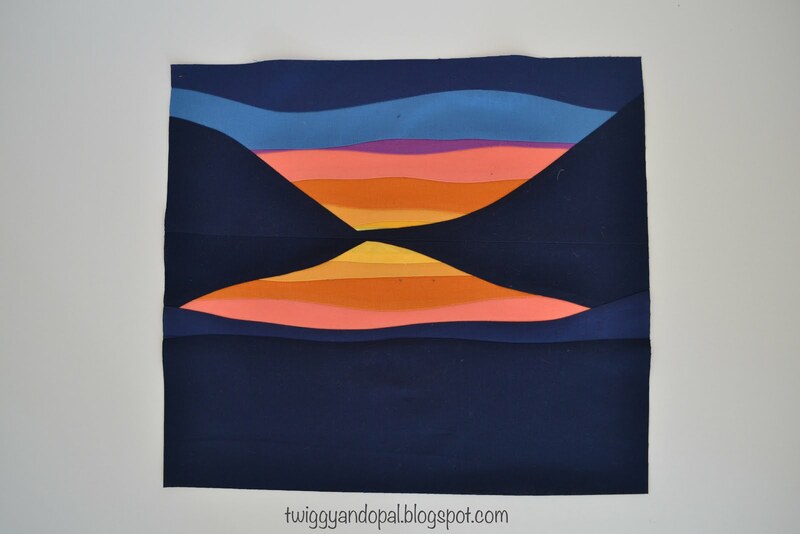 That resulted in having to make more HST's with the dark blue to form the shapes. The original HST's blocks were 6 3/4" and I trimmed those down to 6" in order to fit with my design. 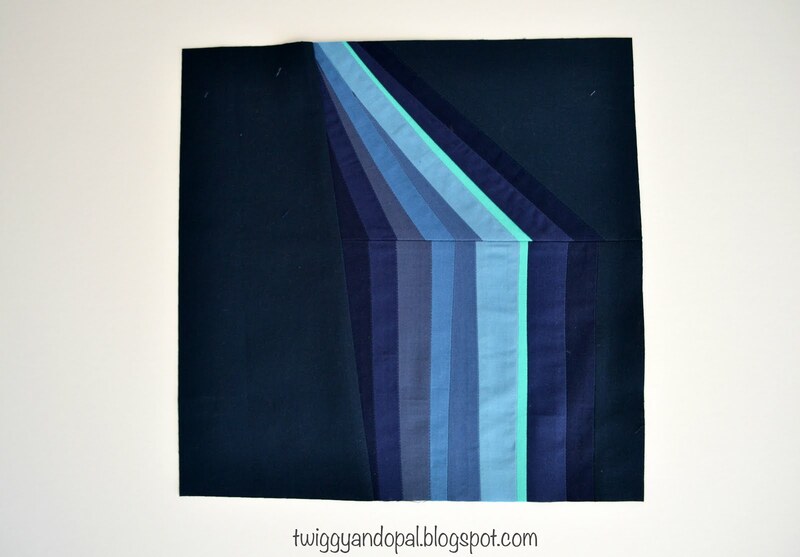 By extending the shapes in the border, it feels like the dark blue shapes are floating over the top. It also gives it a twist, a little oomph, a step up on the design. Quilt these kind of quilts for me is predetermined! I almost always quilt using straight lines in varying widths. While I quilt that way on them, I don't have one overall design that I use time and time again. Each one has it's own quilting personality. I used a combination of blue, green and grey thread. Marking out sections first and then using one thread color for the entire section. Again, that could change from quilt to quilt. It's our prerogative to do what we feel or want to do! 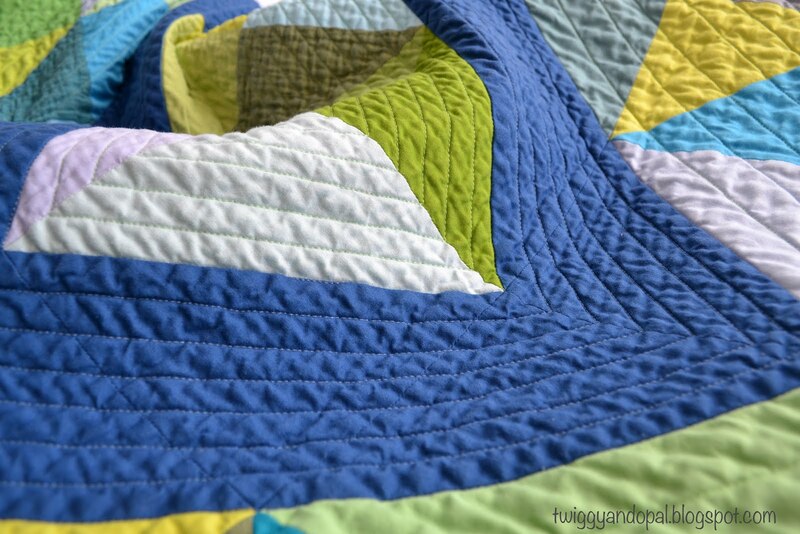 There's always an abundance of texture with this quilting after washing. 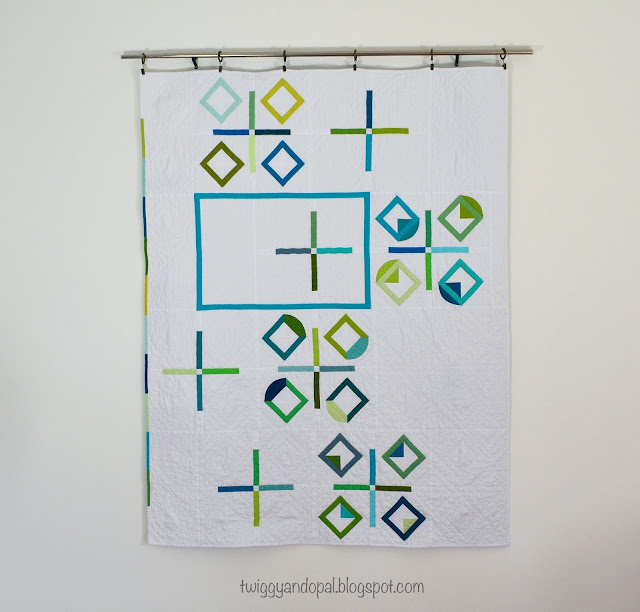 Its one of the payoffs of a finished quilt. Theres that, and it does cover up the missteps of less than perfect lines. 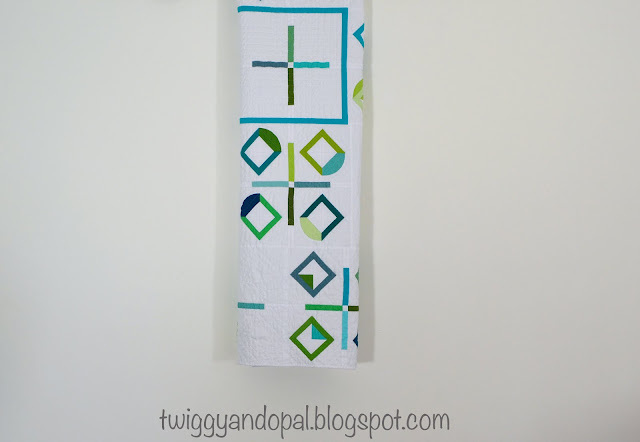 This quilt has been done for quite a while and seeing it now...I really need to get the original idea quilt finished. I've been dreading the task. It isn't huge, it's just big. 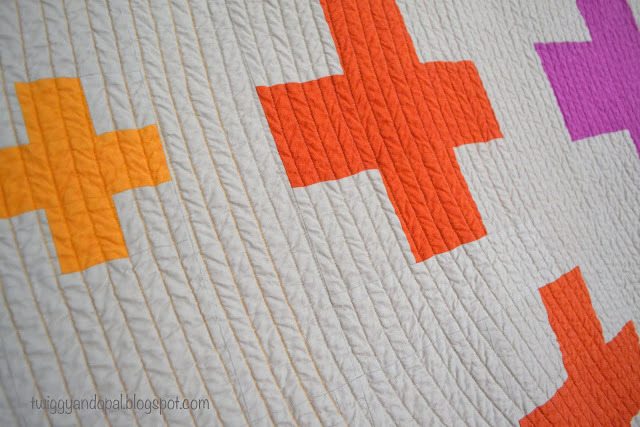 Lately I've put off quilting several quilts because of their size. My least favorite part of the entire quilting process is quilting. I don't like to wrestle, man handle and twist these days. 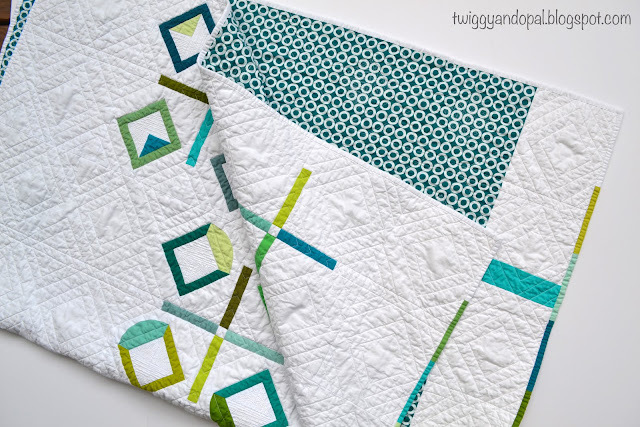 I'm talking quilting here...! It's no wonder so many people have their own long arm machines! Is it just me or does it seem like more and more people have long arm machines these days?! It would be heaven...I think...but I also think I would never be able to handle it! 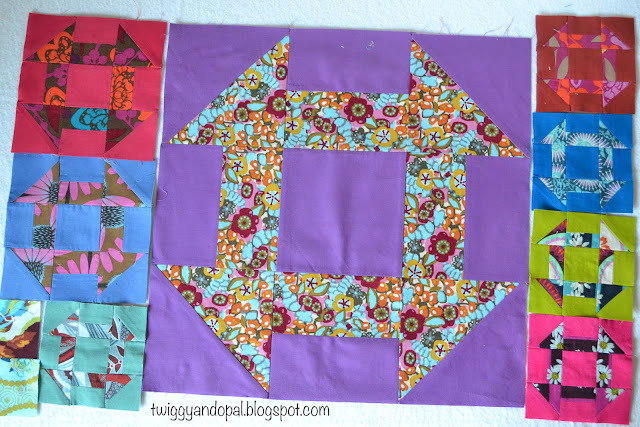 These graphic HST quilts and another quilt design I'm working leaves me with a question that I hope you can help answer. 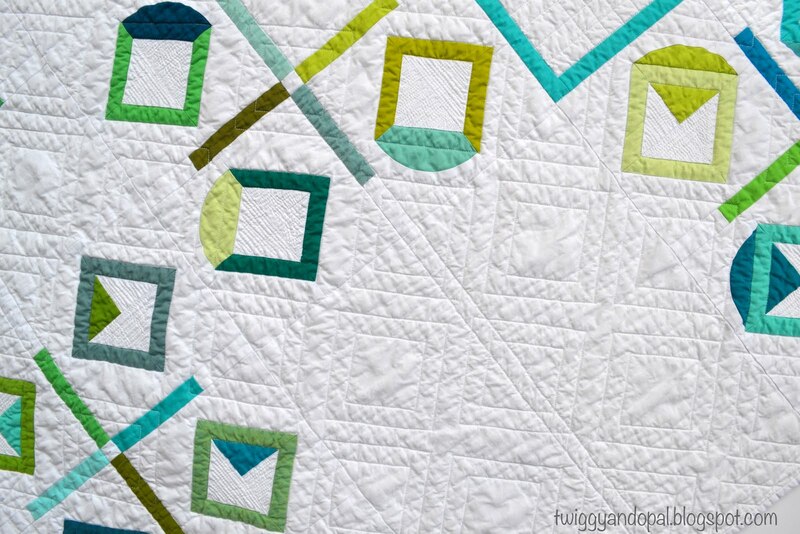 We all know it's extremely common for quilt patterns to have three, four and five different sizes included. Is it common to have several sizes in a pattern but each one is designed differently to fit the size of the quilt? 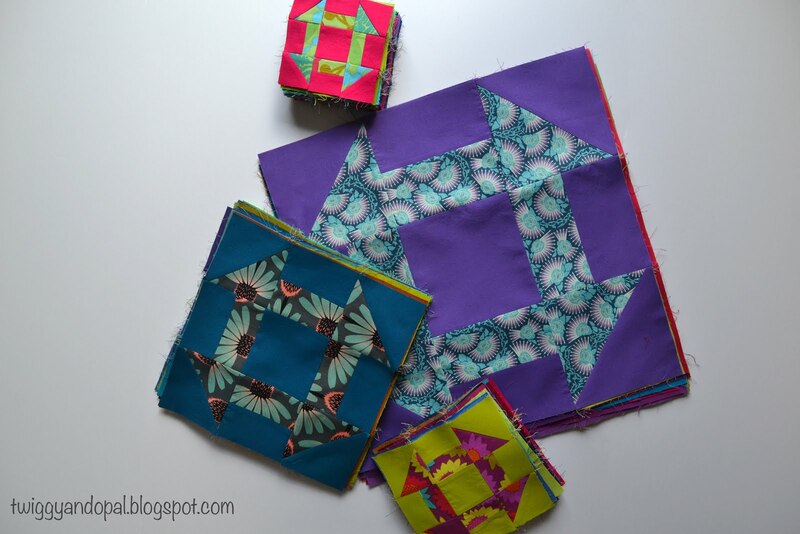 For example, different sized blocks for each quilt or where the layout is different to accommodate for the size. One quilt I'm debating about writing a pattern for uses the same sized blocks, but because of the sizes the layout is different. Would it be weird? Would it be better to make each a separate pattern and price it accordingly? I don't know what makes the most sense, so your input would be greatly appreciated!